The former Sri Lankan Ambassador to Qatar ASP Liyanage is alleged to have run riot against fellow Sri Lankans in Doha Qatar whilst holding office. According to Sri Lankan expatriates this has had a negative impact on the country. They further claimed that ASP Liyanage, the former Sri Lankan Ambassador to Qatar who is not a career diplomat, had made the lives of some members of the Sri Lankan community difficult if they did not toe his line. 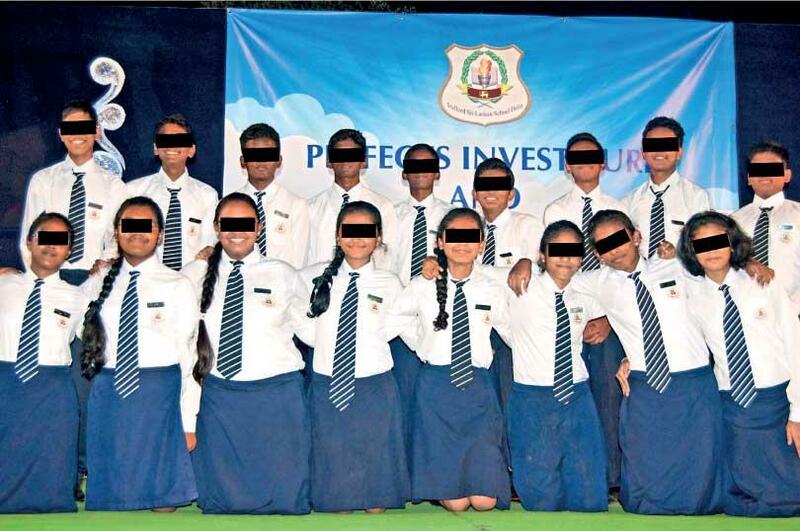 On dubious complaints made on his instructions, several staff members of Stafford Sri Lankan School Doha have been arrested since 2017 and their services terminated. Those students who have failed to pay their school fees were not allowed to sit for the term tests held in January this year until the Supreme Council of Education in Doha intervened. The Daily Mirror in October 2017 wrote about Liyanage getting the then Chairman of Stafford Sri Lankan School Doha arrested over text messages the former and the latter exchanged regarding the school and how he (Liyanage) intervened in school affairs. This paper is now in possession of an audio recording of a speech made by Liyanage. Addressing the staff of Stafford Sri Lankan School in January, he has said that he, as the Ambassador, has diplomatic immunity and threatened them not to be unwise and go against him as he is ‘untouchable’. In this speech he also requires the Management of the school, which is now under the ownership of the Sri Lankan Mission there, not to allow any student to sit for the upcoming term test unless they pay the school fees. “Fifty percent of students are coming from families whose parents are doing odd jobs and some of them are in prison for violating rules of this country. The former management knew well about the financial difficulties of these families and never harassed these children; instead they were well looked after,” an Expatriate told this newspaper. Meanwhile the Expatriates accuse the Ministry of Foreign Affairs in Colombo for not taking action against Liyanage although several complaints had been made to them by the tutorial staff of the school. In 2017, former Diplomat late Dr. Wickrema Weerasooria too had complained about Liyanage to the Ministry of Foreign Affairs. The school staff had even informed President Maithripala Sirisena about this situation. Liyanage is accused of obtaining the ownership of Stafford Sri Lankan School under the Sri Lankan Embassy and later instructing one of the banks- with which the school maintain accounts- to cancel the previous signatories by nominating two Embassy officials Dhawood Amanulla and Ruwan Dhanasooriya Don. Although the owner/ sponsor of Stafford Sri Lankan School has not sold or transferred the school to another party nor changed its name, Liyanage by letters dated July 18, 2018, addressed to Manager Commercial Bank Doha Qatar, has instructed the bank to cancel the signatories of the previous management and replace them with his nominees. In his letter to the bank, he states that the school is now under the ownership of the Sri Lankan Embassy and also has got its name changed to Sri Lankan Community School. It was Kumudu Fonseka and few other Sri Lankans who had funded this institution in 2001, developed a constitution and operated the school via a Board of Trustees until Liyanage took over the school under the Sri Lankan Embassy in August 2018. 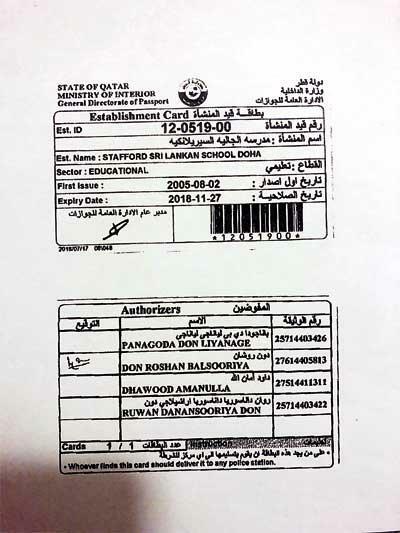 In keeping with the Qatari Law a foreigner cannot have full ownership of an institution, hence a Qatari volunteer Yousuf Ahamad Al Feraidon offered Fonseka to get the institution registered as a community school under his name and got its commercial registration (Reg. no: 40169). Liyanage is also accused for claiming that the school is raising money unlawfully and that he was not happy how the school was operated. He had complained about this to the Education Ministry in Qatar in August 2017. As he failed to get the Education Ministry to take action against the school he had lodged a complaint with the Labour Department in September 2017 claiming that this school was employing Sri Lankans who do not have work visa and that their salaries are paid in violation of Qatari Labour Laws. “Liyanage wanted the Education Ministry to visit the school on a ‘fact finding mission’. When the Education Ministry officials made a visit to our school, they were impressed by the manner in which the school was functioning as the management was providing the students with the best facilities and the standard of our education method. They were puzzled as to why Liyanage made such a seemingly baseless allegation against the school. With regard to the complaint lodged to the Labour Department, most of these teachers have come to this country under the spouse visa. It was the school management that took a decision to recruit the spouses who have the knowledge of teaching in order to give them financial support. 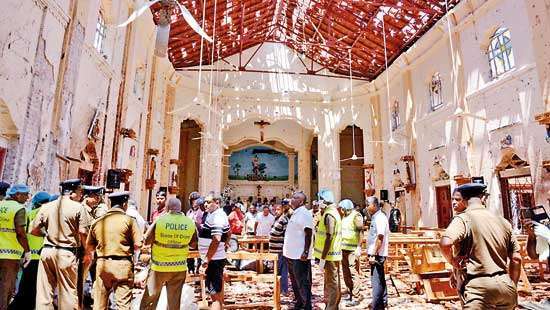 Instead of facilitating them to earn foreign exchange to our country, Liyanage wanted to spoil their futures,” sources alleged. The source further described as to how Liyanage started showing interest in school affairs after he paid a visit to the school and going through the school financial records. “When he first visited the school he was happy as to how it was functioning and thanked the Founder Chairman and the Board of Trustees for their tireless efforts to make the school one of the best in Doha. Towards the end of 2017, he accused the school management of poor administration and attempted to freeze the school accounts which had several billions of Sri Lankan rupees,” sources alleged. 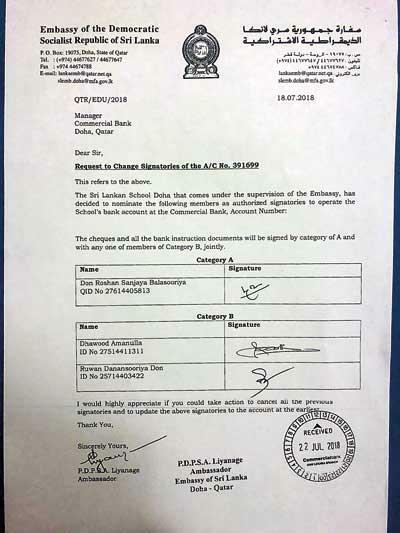 Following this, the owner / sponsor of the school, Yousuf Ahamad AlFeraidoni by letter dated August 3, 2017 wrote to the West Bay Branch Manager of the Doha Bank that the ownership of the school is under him and instructed the bank, that unless he instructs or if there is a court order, the bank cannot freeze the school’s accounts. It further states, ‘Branch Manager, West Way Branch, Doha Bank, PO Box 9816, Doha –Qatar. ‘I would like to inform you that the Stafford Sri Lankan School Doha is operating under the Commercial Registration No: 40169 under the full ownership of the undersigned. ‘I hereby inform Doha Bank, that the Stafford Sri Lankan School bank account (A/C 21120370301100) will be managed by the authorized signatures of the Board of Trustees, unless and otherwise instructed by the undersigned or by a court order. Thank you, Yousuf Ahamad Al Feraidoni, Owner/Sponsor’. The same day Yousuf Ahamad Al Feraidon wrote to Liyanage and had stated that he regrets how the Embassy on July 18, 2017 froze the school bank accounts without his consent as the sole ownership of the school is under his name. The letter further states, ‘I would like to inform you that the Stafford Sri Lankan School is operating under the Commercial Registration No: 40169 under 100% ownership of the undersigned. ‘In year 2010, I gave consent to the Founder Members/ Board of Trustees to operate the school as a Community School and invited then Ambassador V. Padukkage to affiliate the school under the patronage of Sri Lankan Embassy Qatar. 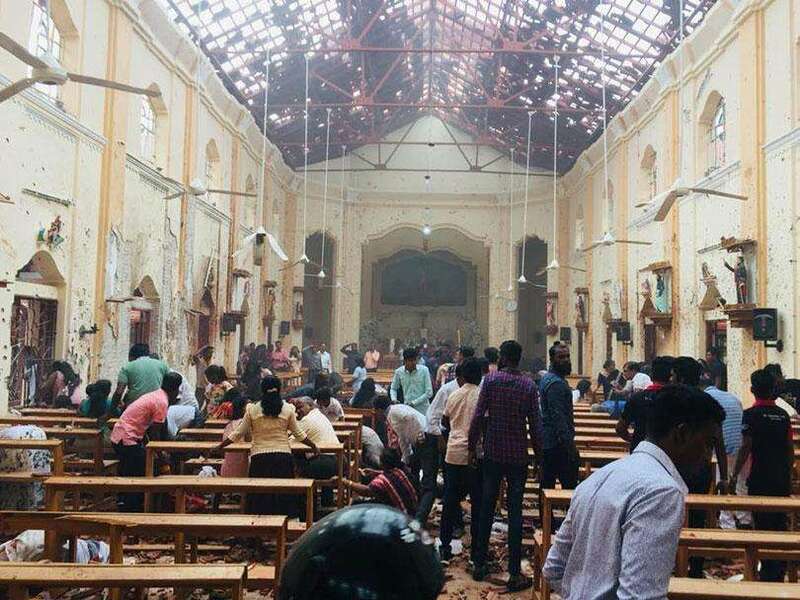 Although the necessary documents were signed the Embassy of Sri Lanka did not take the necessary steps to register the school with the concerned authorities in 2010. ‘It is regrettable to note that the Embassy took action on July 18, 2017 to freeze the bank accounts without the consent of the owner and without any legal authority. ‘I had to intervene to unfreeze the bank account to avoid dishonouring of school cheques and to avoid jeopardizing of the school operations. ‘In view of the above, I hereby give one month notice with effect from August 7, 2017 to the Embassy, to register the Stafford Sri Lankan School under the sponsorship of the Sri Lankan Embassy. Since all previously issued documents are null and void, I request the Embassy to prepare the necessary transfer documents to be signed by me. “Furthermore I request the Embassy to refrain from publishing articles about the school which are affecting the school’s name and the student’s education, until the sponsorship is legally transferred to the Sri Lankan Embassy in Qatar. Thank you, Yousuf Ahamad Al Feraidon’. According to the sources, in 2010, Although the Qatari owner wanted to transfer the school sponsorship to the Sri Lankan Embassy in 2010 to retain the Sri Lankan identity, the then Ambassador Wijesiri Padukka had issued an addendum to the school constitution and through a power of attorney dated December 12, 2010 had empowered the Trust Chairman the power to operate the school. Although Feraidon in his letter to Liyanage wanted the Embassy to prepare the necessary documents to transfer the sponsorship of his school under the Sri Lankan Embassy and further made a request to refrain from publishing detrimental articles about the school, Liyanage continued to publish damaging articles about the school. Hence by letter dated August 29, 2017 Feraidon wrote back to Ambassador Liyanage withdrawing the request he had made. The letter states, ‘ I refer to my letter dated August 3, 2017. I hereby revoke my request to the Embassy of Sri Lanka to register the Stafford Sri Lankan School Doha under the sponsorship of the Sri Lankan Embassy as requested in paragraph 5 of the said letter. ‘In my letter, I requested the Embassy to refrain from publishing articles and news items about the school which affect the name of the school and students’ education. I regret you have not done so. Once again I request you not to harm the school by doing such acts’. Although Liyanage claimed that the Sri Lankan Mission in Doha is the sponsor of this school and therefore the Embassy has the right to take over the management of the school is misleading. The Sri Lankan embassy hasn’t spent money on the school and it is a fully private school. This is a non- profitable organisation and its sole purpose is to provide quality education to the Sri Lankan students living there as the Sri Lankan students cannot afford to attend any other school due to high tuition fees. “Other than Liyanage, no other Sri Lankan diplomat that served as the Sri Lankan Ambassador here has harassed us. Instead of looking after the welfare of his own people and strengthening the goodwill amongst all, Liyanage, from the time he landed in Qatar, has disturbed the peaceful lives Sri Lankans were enjoying over the years. One of the first persons Liyanage got arrested was the founding Chairman of the school Kumudu Fonseka and the latest was the Principal Upali Jayasinghe. Based on a few text messages, Liyanage and Fonseka exchanged on school matters, Liyanage got the Founding Chairman arrested in 2017 claiming that Fonseka threatened him. According to Jayasinghe, since he refused to withdraw the complaints lodged at the Foreign Ministry and Sri Lanka Foreign Employment Bureau, Liyanage had got his service terminated and visa cancelled. 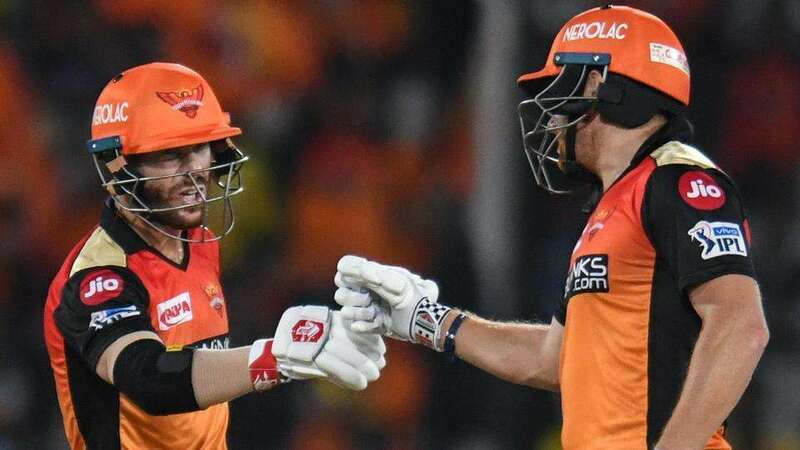 Without knowing that his visa had been cancelled, at the airport he had been arrested by the officials there for overstaying his visa,” sources alleged. Former Principal Jayasinghe confirmed with the about the abduction and said how he had developed a chest pain whilst he was detained at the Embassy. “When we were in Sri Lanka during the summer vacation, we came to know that Liyanage had taken over the school’s administration by force. We held a protest near the Ministry of Foreign Affairs in Colombo against this move and handed over a petition to the Foreign Ministry. I was in the forefront at this protest. When I landed at Qatar Airport on August 24, 2018 to report for duty after the summer vacation, some unknown party which arrived, abducted and took me to the Embassy. In front of more than 15 Embassy staffers, he threatened me for taking part at the protest. He was having a photograph of this protest. I was asked to withdraw the complaint we made to which I refused. He insulted me and I could not bear the humiliation. It was at this point I suffered a chest pain and was rushed to the hospital. Later I came to know that my service had been terminated on the directives of Liyanage. Few days after I was discharged from hospital, I was to return to Colombo. At the airport, I was arrested for overstaying my visa. 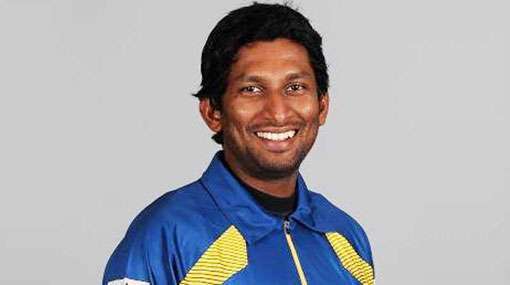 It was only then I came to know that Liyanage had got my visa cancelled,” Jayasinghe added. Among those who joined the protest in Colombo and made complaints with the Sri Lanka Bureau of Foreign Affairs were few members of the Stafford Sri Lankan School academic staff, it’s IT Manager and the Administration Manager. “Few teachers, the IT Manager and the Administration Manager in their complaint stated that they have death threats and sought their intervention as all of them were uncertain about both their lives, when they return to work, and job security. Our Principal left Colombo on August 24 morning and the rest in the afternoon,” said the teacher whose service too was terminated in January this year. According to her, on August 25, while she was conducting her English Literature class, she had received a call from the Embassy asking her to meet the Ambassador at 10 am. The Acting Principal too had visited her and wanted her to accompany him to the Embassy. “I told him that I can come only after school. When I went to meet the Ambassador he wanted me to withdraw the complaints that were lodged. Although rest of those who took part at the Colombo protest and lodged complaints with the Foreign Bureau for having death threats withdrew their complaints, I refused to do so. That was the beginning of all harassments that I later had to undergo. 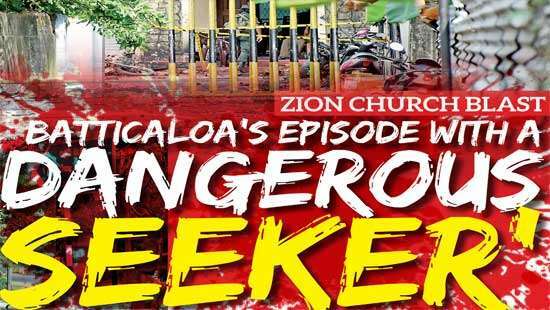 Although this incident took place in August 2018 till January 2019 nothing happened,” the sources claimed. “I was called to the Principal’s office on January 4 and given two options- first to withdraw the complaint failing which the second option was to tender my resignation. 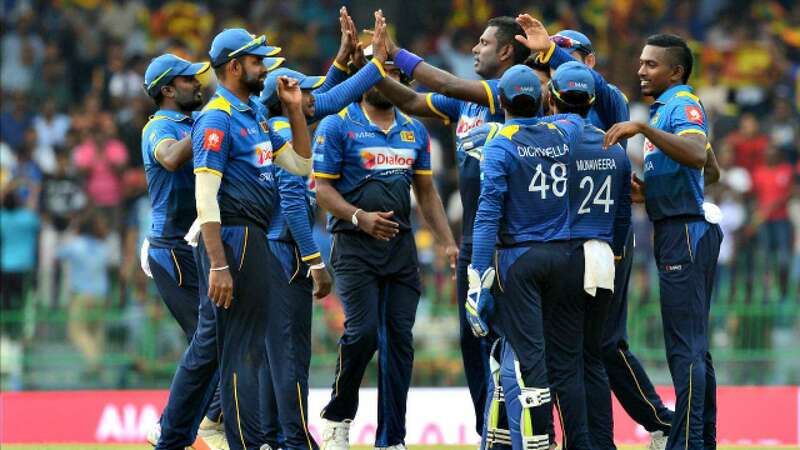 Then I told him that I will not withdraw the complaint and I will write to Dulip Jayawardene in the Foreign Employment Bureau Battaramulla that the Principal was exerting pressure on me demanding to withdraw the complaint. The Principal was taken aback and the following day while I was conducting revision classes before the term tests began, I was handed over the letter terminating my service with immediate effect. The reason for the termination was challenging the School Management, and nothing else. When I informed my students that I have been removed they fell at my feet and cried,” she added. All attempts to contact Liyanage, who is still in Qatar, failed. When a text message was sent seeking a comment on the allegations levelled, Liyanage, his reply read, ‘I will give a free ticket to you to Qatar. First come. Understand the truth. Then write the article. Thanks’. Although another message was sent stressing the need to talk to him over the phone as the allegations levelled against him are serious, Liyanage did not respond till the paper went for publication. The termination letter states that because she did not cooperate with the Management decisions the management had discontinued her service. The letter dated January 7 states, ‘This letter is to inform you that your employment with Stafford Sri Lankan School will end from the close of working hours on January 7, 2019. ‘You have continued to fail to corporate with the management decisions and have always challenged the decision taken by the management. Furthermore it has been noted that you have run down and spoken demeaning the management to other colleague. This creates a toxic environment and is not acceptable. ‘The management has been very tolerant with you since the beginning of the academic year. Your continuous running down of the management with baseless allegations has spread even to parents. ‘Therefore with regret we inform you of the management’s decision to discontinue your service with immediate effect. ‘You will be paid one month salary as per the labour law of the State of Qatar. This letter has been forwarded to the Finance Department for processing any dues as per your contract and the Labour Law of the State of Qatar. Yours faithfully, Gamini Amarasinghe- Manager Administration’. 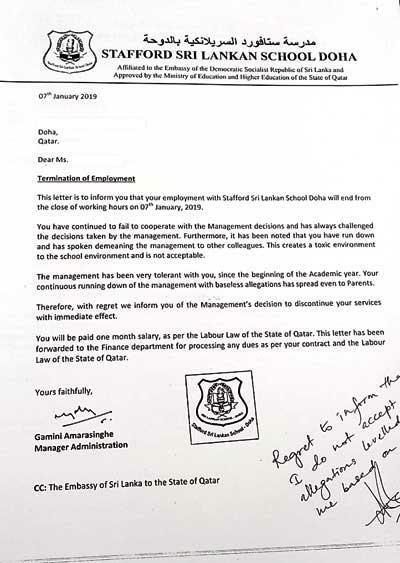 Following this she had reported about her termination of service to the Qatar Labour Department on January 10. “When their services were terminated, Liyanage got their visas cancelled with immediate effect using his diplomatic powers. Then he got these victims arrested either for overstaying their visas or for not reporting for duty. How can he claim that these Sri Lankans have not reported for duty when they have been served with letters of termination” she queried. Speaking to the ,Daily Mirror few parents of Stafford Sri Lankan School told how Liyanage obtained the ownership of the school under the Sri Lankan Mission in Qatar which was functioning smoothly during the past 17 years. 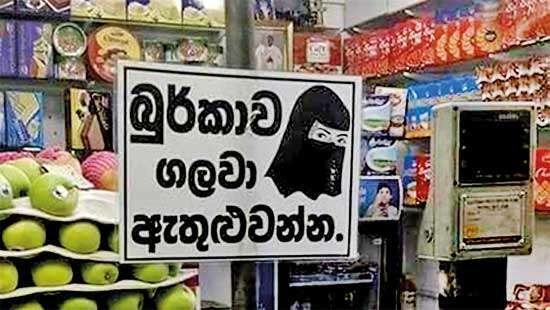 “The present situation has raised concern among all Sri Lankans living here. This was started in 2001 by a Sri Lankan expatriate and was owned by a Qatari national. There are classes from nursery to Grade 13 (Pre University) and boasts of around 1, 400 student population. We cannot understand as to how he took over the school without following the legal procedure nor dealing with of the owner and Board of Trustees of the school,” sources said. “After taking over the school last year, Ambassador Liyanage at a meeting addressed the school staff two days before the term test started in late January and warned the parents to settle the school fees or face consequences. There were around 40 students who could not pay the fee before the term test and while they were at their respective seats to face the exam, they were called by their names to their embarrassment and in front of the other students were confined to a room and prevented from sitting for the first paper. As this is against the Qatari law, the parents had informed the Supreme Council of Education that their children had been deprived of sitting for the term test. Within a few hours the Supreme Council of Education intervened and reprimanded the School Management,” sources said. According to the sources, after the change of ownership, the facilities given to students have been reduced by fifty percent. The students have to pay around 400 Riyals to attend extra Cricket, Hokey and Volleyball classes. “Although the former management did not charge money for any of these extra classes, the new management on the advice of the Ambassador explores new methods to earn more money. The present Principal was our former Deputy Principal and he cannot explain to us as to why the teaching standards have now dropped sharply. I went to meet my son’s class teacher to find out as to why the teaching standards have dropped down and even the Principal does not have an answer to it. Earlier this school was the 6th best school in Doha and many students got entrance to the best universities. The main reason is that the working environment has declined and the academic staff is uncertain as to what would happen to them in the future,” sources added. Speaking from Doha, the new Chairman of Stafford Sri Lankan School, Roshan Balasooriya refuted the allegation and said that Liyanage obtained the ownership under the Embassy because there was no transparency in how the school affairs were not carried out. “This is a community school affiliated to the Sri Lankan Embassy. This entity should be owned by the Embassy and there is nothing illegal in taking over the ownership of this school. With the new ownership, it is the Ambassador that should appoint the Board of Trustees,” Balasooriya said. When questioned as to why the new management prevented some students from sitting for the term test, Balasooriya said that since this is not a Government levy school, it cannot be run without school fees. “Over the past three months these children have not paid the school fees. Their parents never answered any of our calls despite of our repeated appeals to come and meet us and let us know what the difficulties they were facing in paying the school fees. How can a school function without charging fees from students? That was why less than eight students were not allowed to sit for the exam on the first day to frighten them, but they were allowed to sit for the exam from the second day,” Balasooriya added. He further revealed as to how the Supreme Council of Education instructed them not to give these students their registration for the next academic year until they settle the arrears in payment. Balasooriya meanwhile said that although the parents and staff find fault with Liyanage and the present management for not allowing the students to sit for the exam, the previous management too had not allowed them to sit for the exams because they had failed to pay the term fees. “How can they point the finger at us when they too have punished the students in a similar manner? Although they are accusing our Ambassador ASP Liyanage for getting involved in school affairs, the previous Ambassadors Palipana and Karunadasa too had to intervene in the school affairs,” sources claimed. Dear general public, The president of the country must responsible for this and with his full support and knowledge this happen. They were planing to rob this fund of Stafford School Qatar. 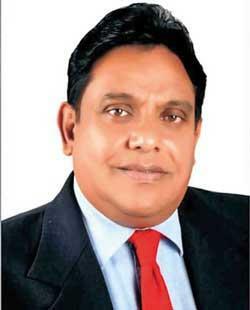 Liyanage was sent to Qatar as an Ambassador mainly to rob the money.